You can make every effort to categorize the music of Lucie Silvas but in doing so you will come to nothing. She is all of it: Americana, ’60s Motown, Vintage R&B, Brass-Backed Country-Rock, Retro-Country, Pop, Country and Alt. 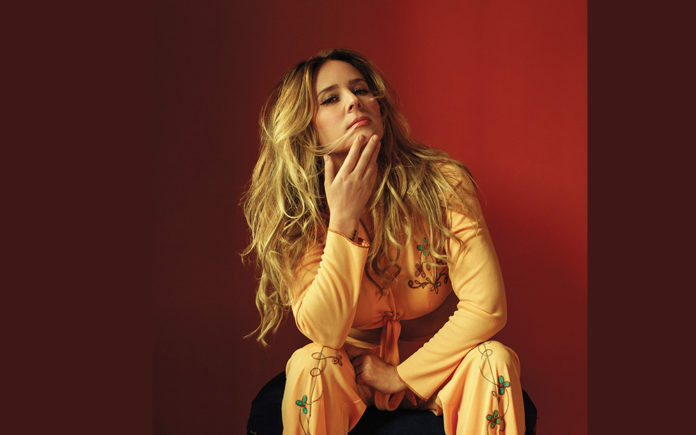 British singer-songwriter Lucie Silvas will light the way like only she can for Lukas Nelson & Promise of the Real and Los Lobos at the Wedbush Garden Jam Music Festival at the Indian Wells Tennis Garden on Friday, April 5, 2019 at 6:30 p.m. on the main stage. You can see the full line-up and purchase tickets at gardenjammusicfestival.com. Coachella Valley Weekly spoke with Silvas by phone from her home in Nashville, Tennessee. CVW: You’re no stranger to the Coachella Valley, having performed at Stagecoach in 2016. CVW: How are you preparing for your trip to the Coachella Valley for your Garden Jam appearance and subsequent tour? CVW: You’re opening the main stage on Friday night at the Garden Jam Music Festival opening for Los Lobos and Lukas Nelson. Any thoughts? CVW: What should music fans expect from your performance at Garden Jam Music Festival? CVW: What do you have planned for the rest of 2019? CVW: You seem to be an artist who thrives on vulnerability. Your lyrics from the album E.G.O. on the song “Black Jeans” say it all for me, “Ain’t no consolation prize/I hate it when you size me up/Oh, it’s about time you see me with my cards face up.” Now you’ve stripped down to piano and vocals for the tour with Tom Odell. CVW: I think you’ll agree that mistakes are a common thing with live performance. I’ve spoken at length with both Jimmie Vaughan and Toby Lee about it. What is your perception on musical miscalculations? CVW: From my perspective, your music is cultured and earthly. There can be an overabundance of effort to categorize your music when all you need to do is listen. You’ve lived around the world and travelled it as a musician as well. Does the world shape your music? Silvas: “My parents are also well-traveled. My dad is English and also grew up in New Zealand. My mom is Scottish. They met in Italy as they were travelling separately. Don’t miss Lucie Silvas and band at 6:30 p.m. on the main stage Friday night April 5, 2019!